Traveling to Russia, everytime you come there will be something to see or do. For example, we could do ice fishing on winter, going to enjoy the beach in summer or just enjoying the scenery which all of the season listed will give you the top quality scenery. Sometimes, planning to go somewhere during your travel, could not guarantee you an enjoyable trip, sometimes it will. But why? Well, what you could do is limited to what season you are traveling, and this is also true for going to Russia. Obviously, you can’t just come to Russia in winter and say you want to enjoy wildlife, well, sorry to crush your hope. but most of the animal is hibernating during that period. What more you couldn’t say, “Let’s go ice fishing in Lake Baikal now!” at summer. That just makes you look crazy right? Well, Planning for enjoyable trips could somewhat tricky, although Russia could offer you anything to enjoy your travel. Still, you need a plan about what to do in there, or else you gonna be stuck up in your hotel confused about your next destination. So start to plan what season you want to come, whether its spring, summer, autumn, or winter. After you have chosen your time to travel, the next thing you should think of is how much is your budget, and how much time will you spend there. See? that’s just a start, after you plan everything listed above, next you choose what is your destination. You could choose based on your budget, the time you have in Russia, or the season you are coming. Why can’t you just go to every famous tourist spot there? Well, you could, but I don’t guarantee you will get what you hope for, because some places are best to enjoy when you go at the right season. After everything is said and done, now is the time you choose an activity you are going to do there. You could choose from A to Z it’s up to you, from spring it might be enjoying some spring festival or maybe winter, you could spend the time to some small city in Siberian and enjoy the aurora. 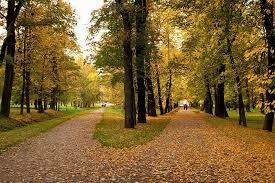 But of every season you could see in Russia, the best season to travel in Russia is autumn. I said that because of some reasons, which you will also find it logical. In spring if you want to spend your time enjoying the cityscape, wildlife, historical site everything you could name it, sometimes a blizzard could make your schedule a mess. Summer is to hot to spend time traveling from one places to other destination. The same could be said during the winter season, known as the harshest season in the world. For many Russian, autumn might be the most favorite season to them, why? because it’s the time to spend their activities enjoying life, for example, many private parties, treasure hunt and barbecue is being held during the autumn season. That also true for the tourist, it is the best time you could go and enjoy exploring the city in a relaxed way, also because the tourist traffic is not high, you could get a reasonable price for your accommodation. Now you see my point why is the best time to come is during autumn? Well, what to see and do in Russia during autumn season you ask? there is many thing you could see and do, and more importantly, no weather could make you cancel your schedule. If you agree with me, then start planning for Russia during the autumn season, I will provide you with a guide about what to see and do in Russia during autumn season. Hopefully, this guide will make your trips more enjoyable. Well, surely fall is not rare for most people. But it’s always anticipated by people, because how awesome the greenery provide you with many colorful leaves, also many parks in Russia could provide you with that experience, from my personal experience you best try the Moscow Park or St. Petersburg as the latter is famous and known as golden autumn there. One of the Russian farmers’ products that are produced during the autumn season. Medovukha is an alcoholic drink based on honey as the ingredient. People love it for its sweetness, for the alcohol content it varies from 5 to 16, well a bit drink of alcohol drink in Russia shouldn’t hurt you. Buy a ticket for a cruise trip to Volga River from Moscow to Russia’s south. During the travel, the cruises will make many stops at some point in the path along the river’s shores. This is the perfect chance to enjoy the beauty of scenery on the temples and cathedrals with the rustling fall leaves as the background. You could also take a phot or selfie with Kazan landmarks or the greenery surrounding Astrakhan. The scenery will leave you a long lasting impression which will make you want to come back next year at this time of the season. While autumn is not staying to long for Russian people, many cuisines in Russia have a seasonal spices. The autumn season is when many local menus are dominated by soups and stews, which are traditionally cooked in Russian traditional ovens. As the autumn season is known for a mushroom season, people will try to harvest it which as the result you could also find many mushroom in local dishes. When you are coming to St. Petersburg, you should at least enjoy ballet or opera in Mariinsky theater, while you might not be a fan of music or arts. Well, you might like it after seing what they could offer, hearsay the ticket is sold for only 24$ which is considered not to expensive. Now you can imagine and plan what to see and do in Russia during autumn season, which is fun and exhilarating. don’t forget to pack properly and also check the references for many tourist sites you could also go during your stay in Russia, stay safe and enjoy your most exciting trips.